Get your claims to third party payers the same day of service and ensure claims are clean so they are paid on first submission. Your claims will go through three levels of review prior to submission. Our claim scrubbing systems will ensure proper coding and other elements are correct before releasing your claim for payment. Eliminate administrative duties for your providers and staff so that more time is available for your patients. By spreading the cost of billing staff over many clients, we can help you to save on staffing costs and office expenses. Plus improve your bottom line! Our team of professionals will ensure there is always staff available to work your claims. You will not have to worry about staff turnover affecting your cash flow. You will always have access to your accounts receivable and billing data through our cloud based software platform. We work with all medical specialties and many behavioral health specialities. Give us a call today to discuss how we can help your practice improve its performance. Medynamix will implement a practice management system to manage the patient accounting and billing functions for your practice. Connect the Medynamix PM system to your EMR for a paperless and efficient office. The combination of our leading claims scrubbing technology and our consistent claims follow up will help you to achieve maximum reimbursement for your professional services. Our cloud based billing software platform can interface with any EMR product you may already be using. Setup an interface to push your patient charges directly to our system for billing! Our experienced medical billing staff know how to manage your accounts receivable to ensure your practice receives maximum cash flow from payers. Our billing software platform allows us to scrub your claims prior to submission to carriers to ensure your claims are paid on first submission. 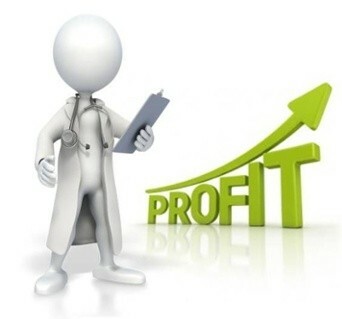 Let us help you improve the financial performance of your practice.